The Luminox 3001.BO Original Navy Seal (Left) and the Traser P6508.900.H4.01 Shadow (Right) are watches made by two different companies but with so much in common. 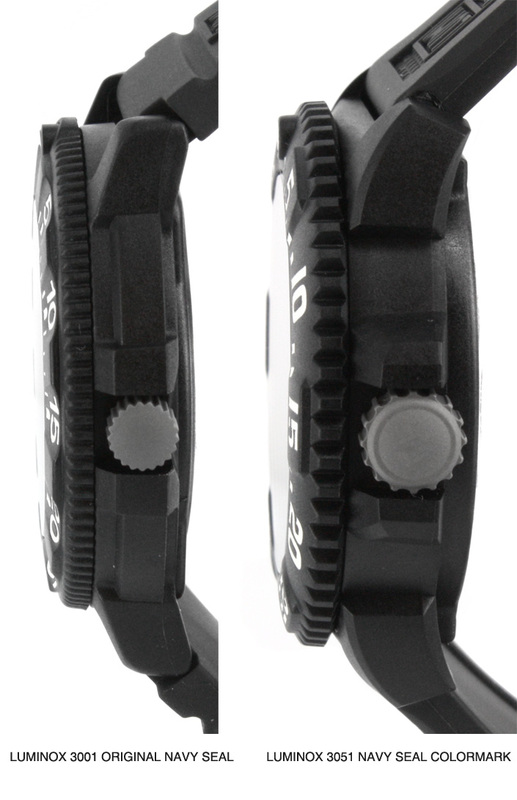 It’s quite obvious that Luminox and Traser had the same goal in mind when designing these two timepieces. 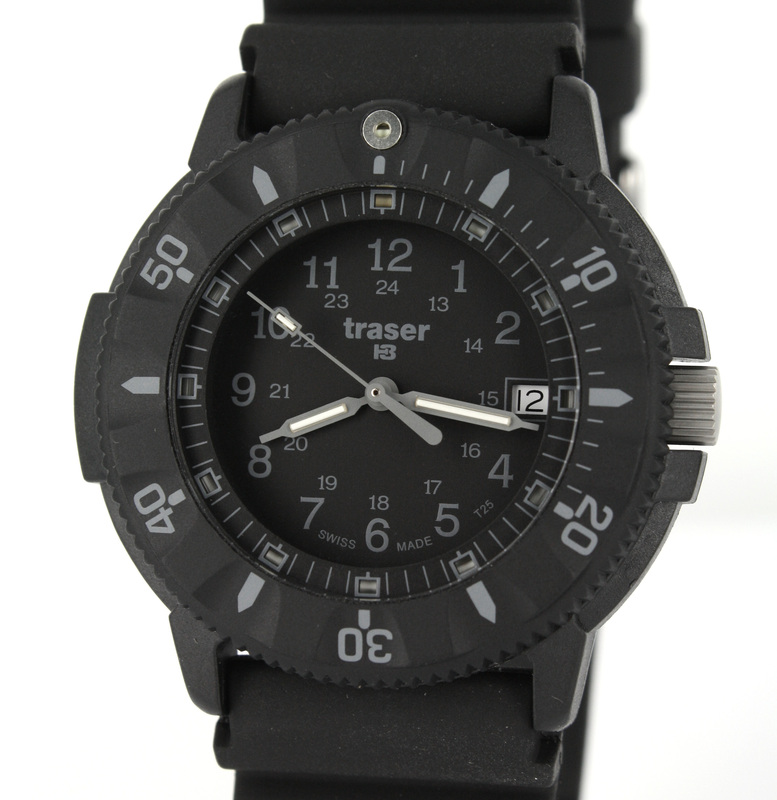 They wanted a sleek, stealthy, mostly black and affordable watch. Both watches feature a 43mm plastic carbon fiber reinforced case, quartz movement, mineral hardened glass, rubber strap, rotating bezel, date on watch dial and tritium illumination technology. Most of the differences in these two watches are found in subtle details within the case and dial design. However, one major difference that is noticeable immediately is the strap. 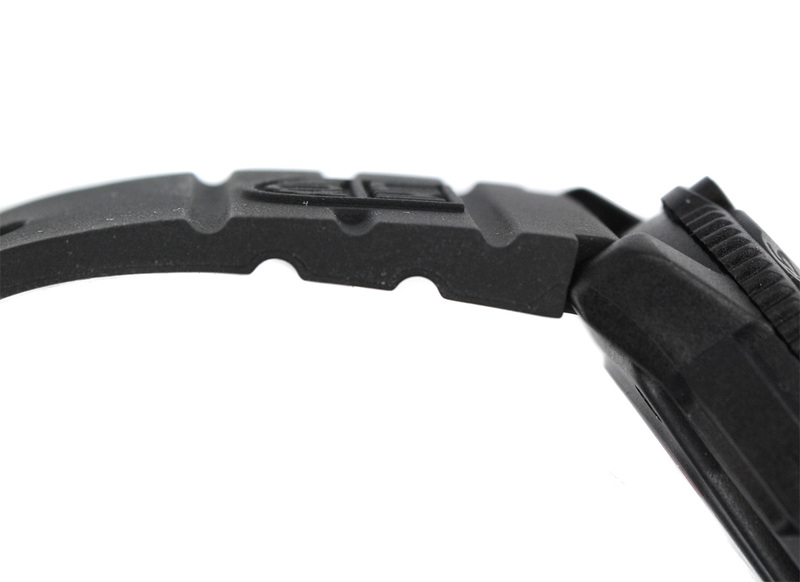 The strap featured on the Traser Shadow is significantly thicker than the that of the Luminox Original Navy Seal. 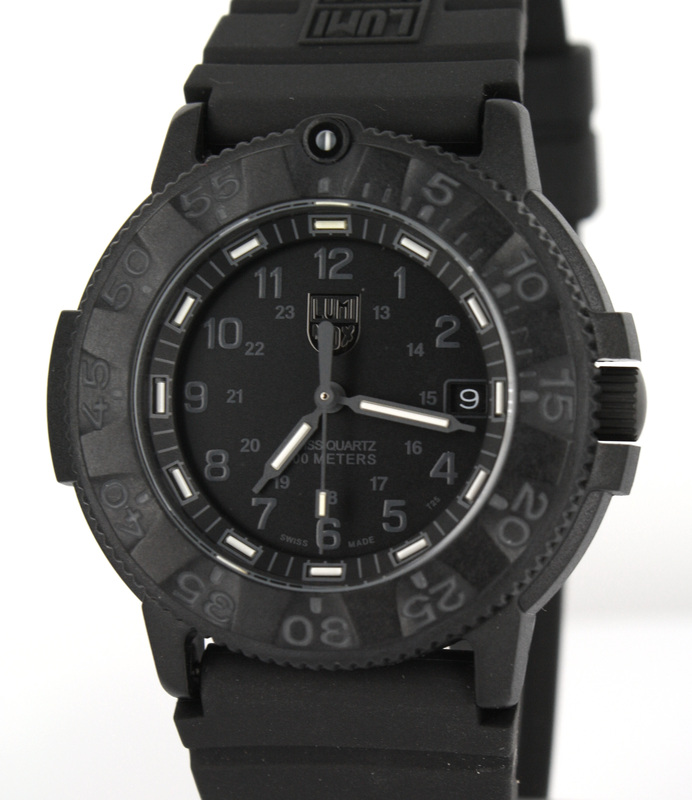 In fact, Luminox has used their thinnest strap available on this Blackout model. Compare the two and anyone would agree that the Traser strap seems as though it could handle a little more wear.